Aulani, a Disney Resort & Spa in Ko Olina, is a new kind of Family Resort – your host and home on the shores of Oahu Aulani is more than a place to stay – it is a place to start. 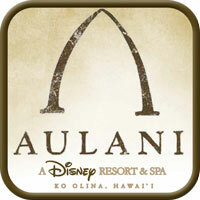 Walt Disney Imagineers worked hand in hand with locals to create Aulani, A Disney Resort & Spa in Ko Olina. Voted No. 1 in Travel + Leisure‘s World’s Best Awards 2014 for Top Family Hotel in the U.S.A, Aulani celebrates Hawaiian culture, history and traditions. 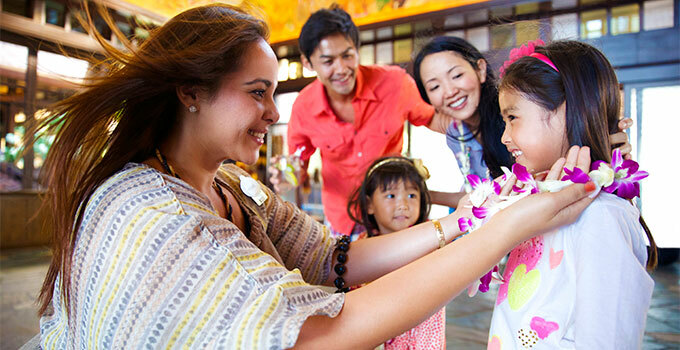 Learn about Aulani Disney Accommodations, Activities for every age and more! Our Imagineers have brought the stories of Hawai’i to life by layering story into every aspect of the Resort. An enormous amount of detail and surprising, hidden magic has been crafted into the Resort – from the fantastic lava rock formations that meld with the architecture to the themed recreation areas such as the whimsical waterway and menehune trails, and the stunning lobby artwork. These are just a few of the many ways that Disney makes the stories of Hawai’i a vital part of your vacation experience. And don’t miss the tales told ’round the fire pit by our incredible performers! From the pool of multi-colored tropical fish to the mischievous watercourse with an exhilarating tube ride, Aulani provides plenty of fun uniquely designed with family in mind! Adults can enjoy lots of relaxing “me” time as kids of all ages play in their own special places, such as Aunty’s Beach House, an enormous kids’ club where they can have fun while discovering Hawai’i through activities created especially for them! Pool parties, lawn events and Character dining all engage both parents and their kids so that they can connect in inspiring new ways – to the place and with each other. It’s an exciting time together for the whole family. Watch your child’s face light up with delight at the sight of new and old Disney friends during special events and meals. It’s the perfect way to create magical memories that last a lifetime! Contact us to learn what type of specials and packages are available!